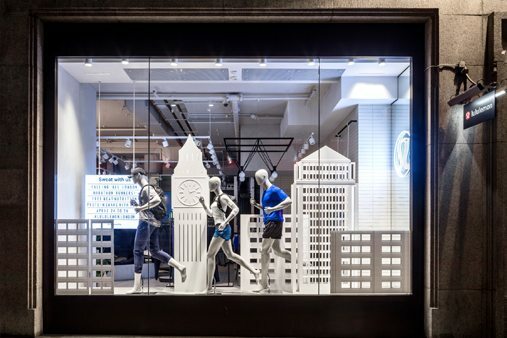 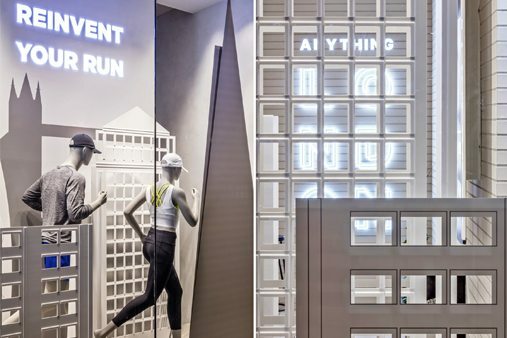 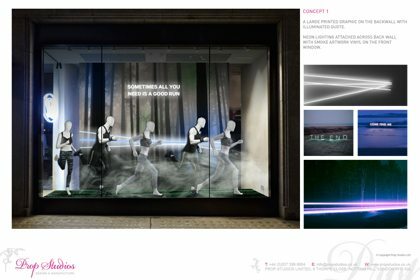 To celebrate the London Marathon and the Lululemon run philosophy, Prop Studios were invited to create a window display at their flagship store on Regent Street. 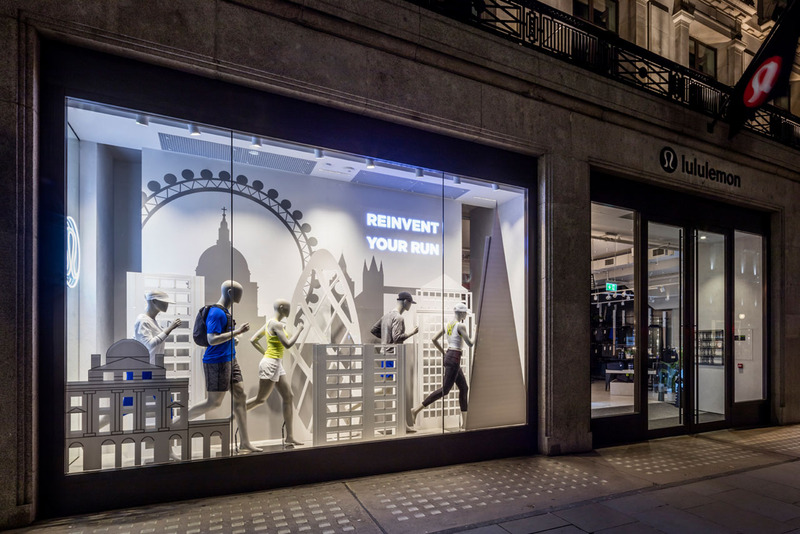 Allowing people to rediscover the joy that running brings, the concept was to recreate the iconic London skyline that is found along the marathon route. 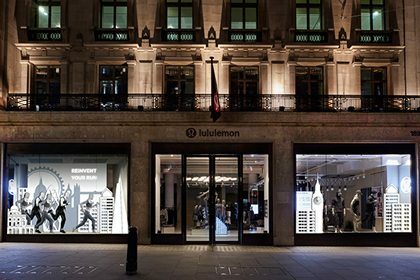 Our design team worked closely with Lululemon to ensure that this was a stylised execution that would feel contemporary, light and airy. 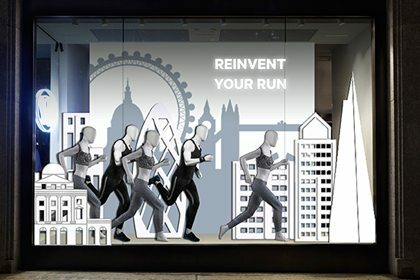 A back lit wall with iconic landmarks including the London Eye and Tower Bridge, complimented by a 3D “REINVENT YOUR RUN’ tagline was incorporated for high impact. 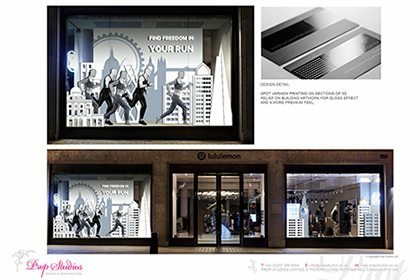 We also sought to create additional layers of depth into our skyline story, by including window graphics of Somerset House and additional buildings including The Gherkin and Canary Wharf, which were manufactured out of foam board, acrylic and perspex to add to the perspective. 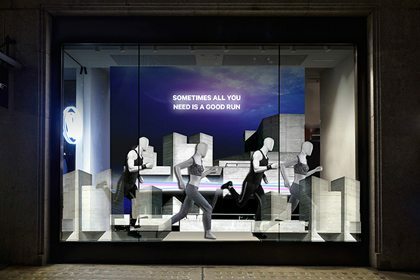 Lululemon’s current collection is inspired by City Tribes and the palette for this window scheme was intentionally muted, to highlight the beauty and diversity of the London Marathon. 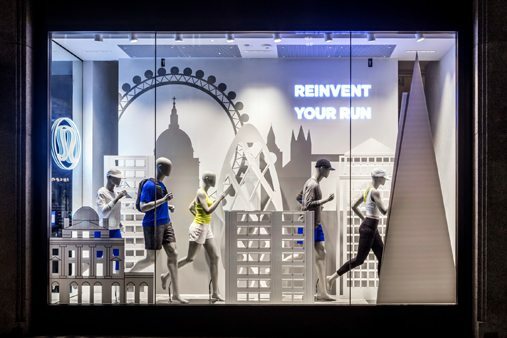 Groupings of mannequins in running poses are displayed throughout the scheme, ensuring the collection really pops against the iconic backdrop of the London skyline.